I don’t know of any other toy with such a universal appeal than bubbles. Weddings, parties, barbecues, celebrations – out in the garden time – there’s never a bad time for them [except for when the mixture is spilled over my floor]. 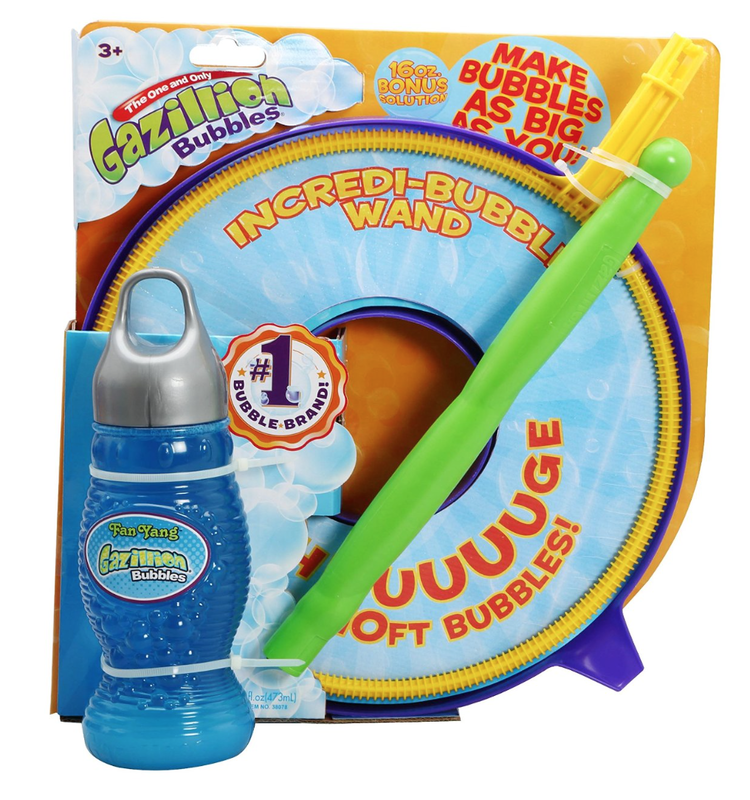 We’ve been testing the Gazillion Bubbles Incredibubble Wand this week – each day we’ve tried to use our new toy, it’s been so windy and we’re had failure to launch almost every time. 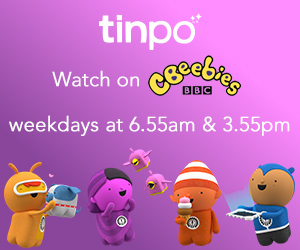 Inside the house it works wonders – but with wooden flooring and three little sets of hands all trying to have a go, it got a bit dangerous and so we’re keeping the wand for less windy days. 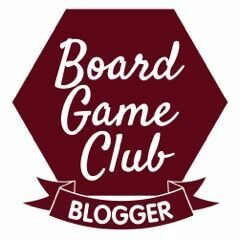 We did however eventually manage to take it outside to test with the boys, in a light wind – and you can see how we got on in the video above! That it’s simple to assemble – just free from the packaging and slot the handle into the wand, pour bubble mixture into the pan and you’re off. The size of the bubbles! The bubble mix was somehow more resistant to light winds; my boys were already looking for something to occupy themselves with after repeated failings of the wand. When it worked though, they adored it. 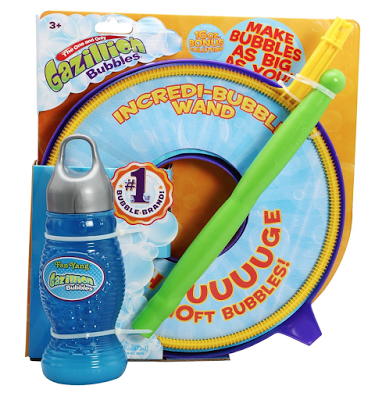 It seems quite expensive at £13.99 for a big bubble wand and mixture – and I’ve no idea how durable this toy will be, but the bottom line is that this wand makes huge bubbles, and children LOVE bubbles.